Google is reportedly interested in bidding in Ofcom's auction of mobile spectra - is this a sign that the Google Phone is coming soon? Google has shown interest in Ofcom's proposals to free up and auction off more than a third of the mobile phone spectrum, the Guardian reports. 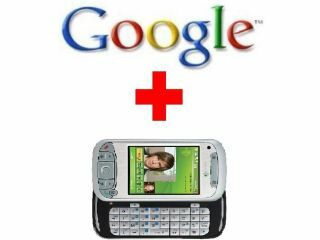 The news adds to speculation that the firm is looking to release its own Google Phone device, or indeed go into the mobile operator business. Such a move would pose a real threat to the five major mobile operators in the UK. It is unclear which spectrum Google is interested in of the three that are available - 900MHz, 1800MHz, or 2100MHz. "[It's] still difficult to comment at this stage," said Thomas Husson, a senior analyst at Jupiter Research. "However, Google is an advertising company. It has started to turn into a platform company trying to sell software, applications and services that could boost its ad revenues. Will it turn into a hardware manufacturer or even into mobile network operator, a MVNO (mobile virtual network operator) or a telecom reseller? The next months will be interesting to follow." Ofcom's plans are still at the consultation stage, which will run until 29 November. It said yesterday that it wants to see at least three parties bidding in the spectrum auction.